We flew into Perth end of February. Aussies on the west coast have fallen hard for kirtan. 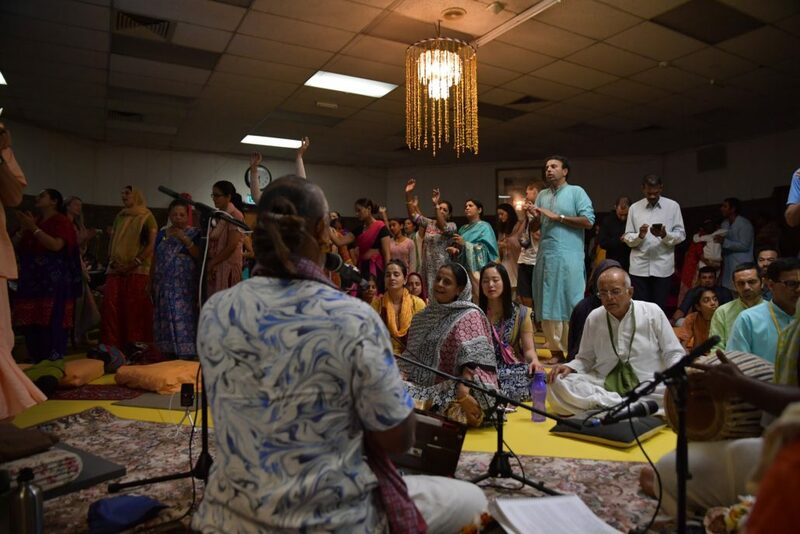 From that isolated part of the globe, the crowd that came on the 3 nights of kirtan pleasantly surprised us, and a day retreat with smaller numbers revealed depths of commitment to spiritual practices. They were naturally curious to know why we mostly chant the Hare Krishna mantra. Gold Coast was the next stop where grey stormy weather awaited us. Yet, the next morning the sun came out revealing the beach in all its glory. A glitch though – a car’s alarm broke the serenity of the beautiful morning. It beeped for a full minute, stopped for 10 seconds, then on again like an alarm clock on snooze, for almost 3 hours! That evening all was back to grey skies, gusts, rain, white capped waves and of course, no abrasive noise to break the dreary weather. 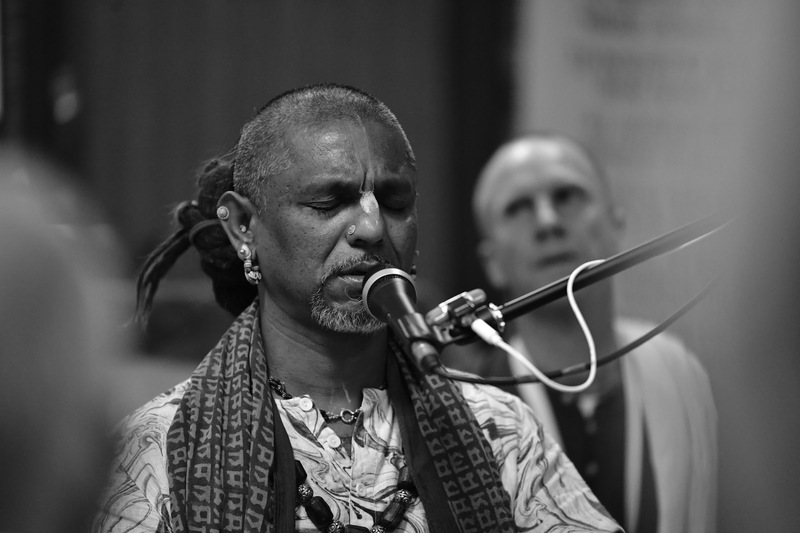 At least we have kirtan – timeless, unchangeable and forever spiritual. 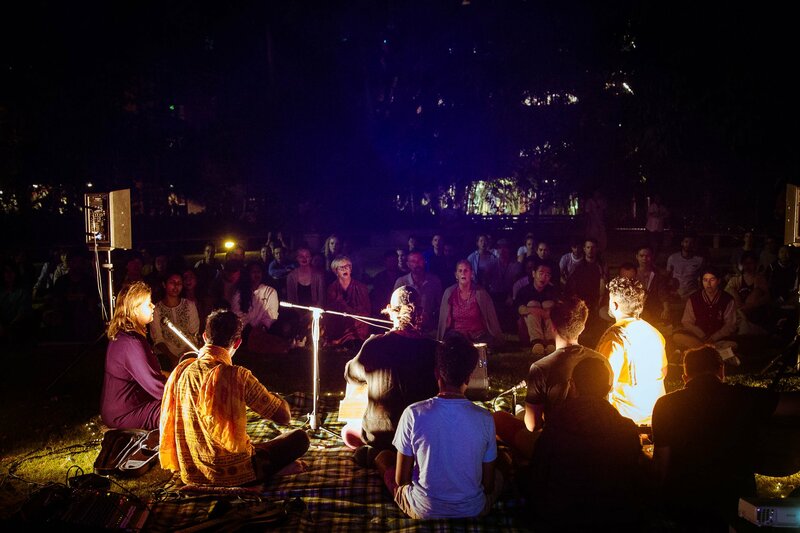 From there, we went to Brisbane University for an evening of chanting Hare Krishna. Eager students delighted all with strong chanting. The Mantra has extended Himself from the spiritual world. 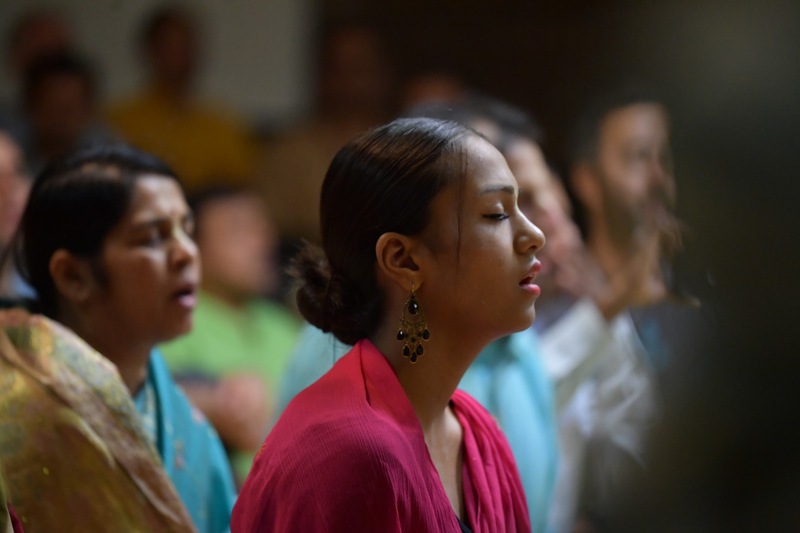 Eternal joy is His nature which touches us whenever we chant.